‘Lucidity’ is a word that basically can be summed up as ‘awareness.’ In the realm of dreaming, lucid dreaming states are ones that you are aware of…unfortunately, many times that we are aware that we had the MOST amazing dream, but those memories can be elusive, slippery things. Meditating with dreaming stones and crystals before bedtime and/or tucking them under your pillow can help you hold onto and tap into the wisdom imparted upon you in your slumber. Keep a dream journal bedside – ready to fill up as your mantras and intentions for peace and joy and clarity work their magic. Relished for its ability to be programmed for just about any type of amplification and manifestation purposes, clear quartz is always a favorite crystal for dream work. 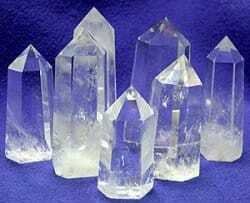 Once you program quartz stones, the dream program you set will remain until you clear and recharge them. Here are two other stones beyond clear quartz to promote lucid dreams. Beta Quartz: Often in hues of bronze/brown, beta quartz is frequently utilized for divining and learning the answers to any question. Skilled practitioners use it for decoding and encoding the patterns of their visions and dreams. 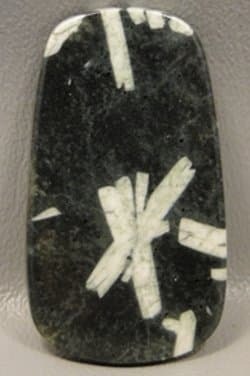 One of the coolest discoveries about this stone is that some believe that beta quartz can restructure DNA and many use it help treat aggressive illnesses! Dream Quartz: Dream quartz lives up to its name by promoting deeper sleep and dream recall. Many users report powerful conscious connections with their ‘power/spirit animal’ when using these dreaming stones. These stones are somewhat costly, and do contain lithium, but they are the ideal recipe for a dream filled magic carpet ride! 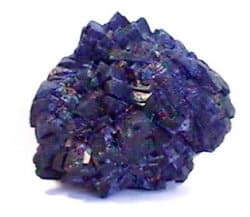 If you want to open up yourself to the meaning of your dreams, consider azurite, which is a top choice for dream work. This yummy Third Eye chakra activator is a ‘stone of heaven’ known for its array of qualities as a healing crystal. Native Americans often employed its potential to contact spirit guides, and the Mayans believed it inspired the actualization of one’s mystical and psychic self, opening them up to ancient wisdoms and insights. 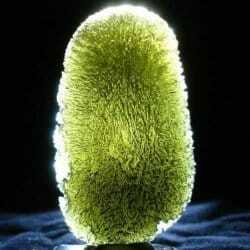 This stone for transformation is great for use alone or in combination with other healing crystals. Using this stone for dream work can help you hone in on any area of growth you are focusing intentions upon, meaning it expedites healing within all seven chakras and also propels lucid dream states and better recall abilities. If psychic visions and dream recall are on your night time wish list these prized attunement stones can facilitate such intentions. 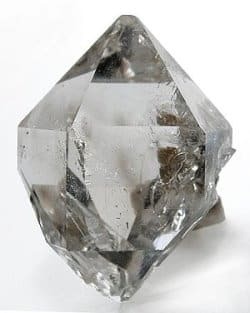 As a powerful record-keeper, Herkimer diamonds are excellent for energy information transfers, allowing you to tap into dream insights later. These stones are also used among groups of individuals who wish to ‘share’ universal insights from both dreams and the awakened state. These healing stones are excellent for focusing on specific, pre-determined subjects that you want to dream about. Directing your dream states is a natural ability for many and often the envy of those who cannot. Chinese writing rocks are excellent in elixir formulations to promote dream states and to use with dreaming herbs. Labradorite – A favorite stone to use in daydreaming efforts. Chrysocolla – Fosters prophetic dreams by inducing soothsaying trances. Covellite – Promotes conscious dreams as one aspires to make them realities. Ametrine – Gain wisdom and insight from dreams with ametrine’s aid. Rubies – Protects against nightmares and distressing dreams, great for adolescents! Angelsite – Helps channeling within dreams and bringing them into this reality. Fire Opals – Boulder Matrix and other fire opal really bring out fiery dreams. Malachite – Promotes dreams filled with vivid imagery fostered by the imagination. Amethyst – This workhorse is ideal for dream interpretation and 3rd eye activation. F*ckin¦ amazing issues here. I¦m very satisfied to see your post. Thank you so much and i am taking a look ahead to contact you. Will you please drop me a mail?